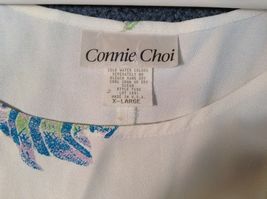 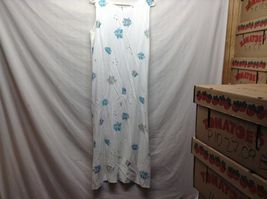 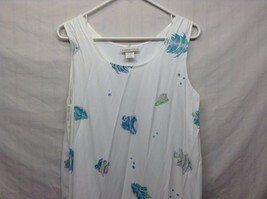 Ladies white sleeveless sundress by 'Connie Choi'. 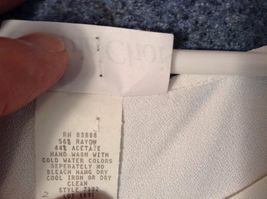 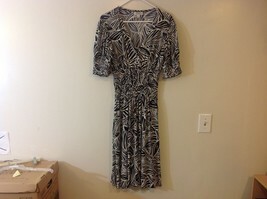 Dress has a small stain on front at the thigh level, but is otherwise in good condition!! 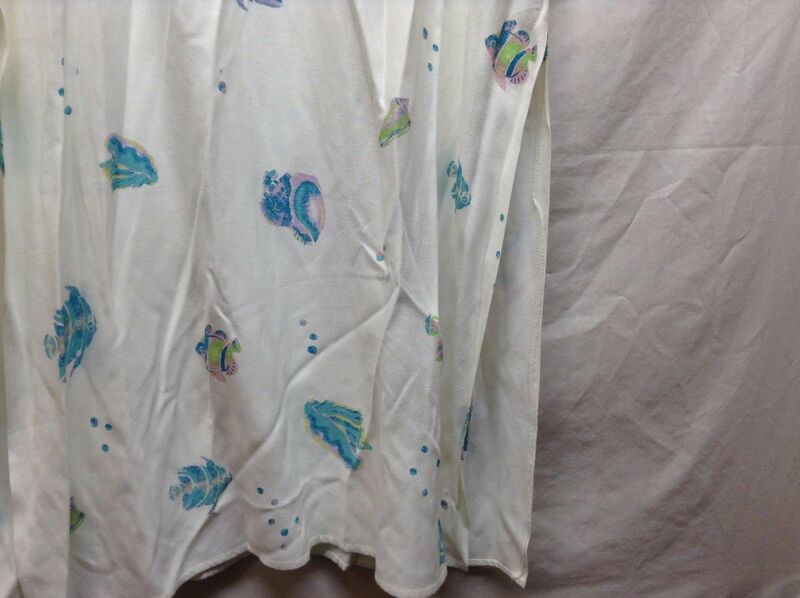 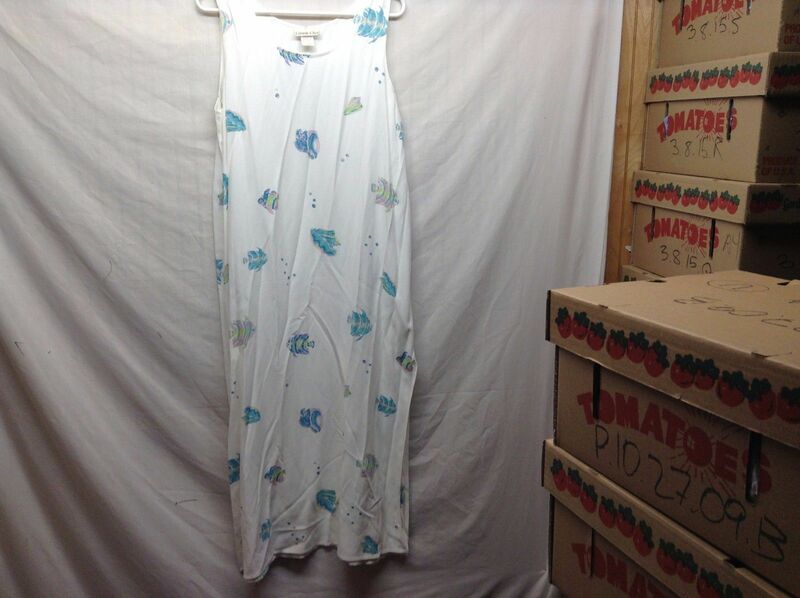 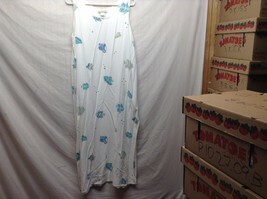 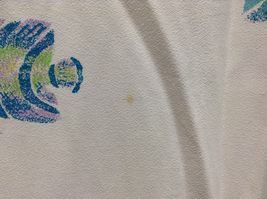 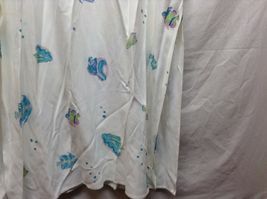 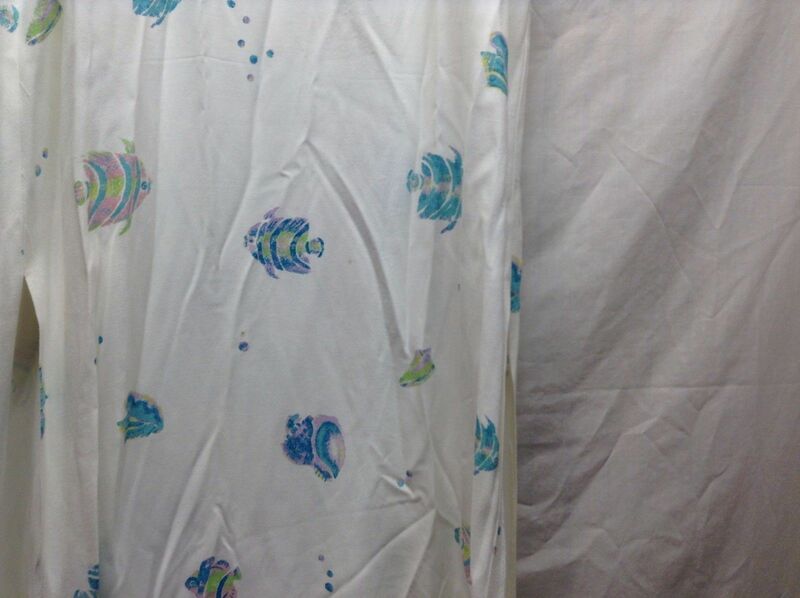 Dress has cute pastel-colored fish designs, and side slits on bottom. 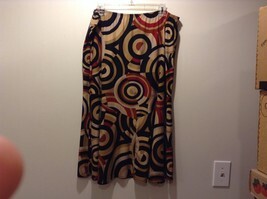 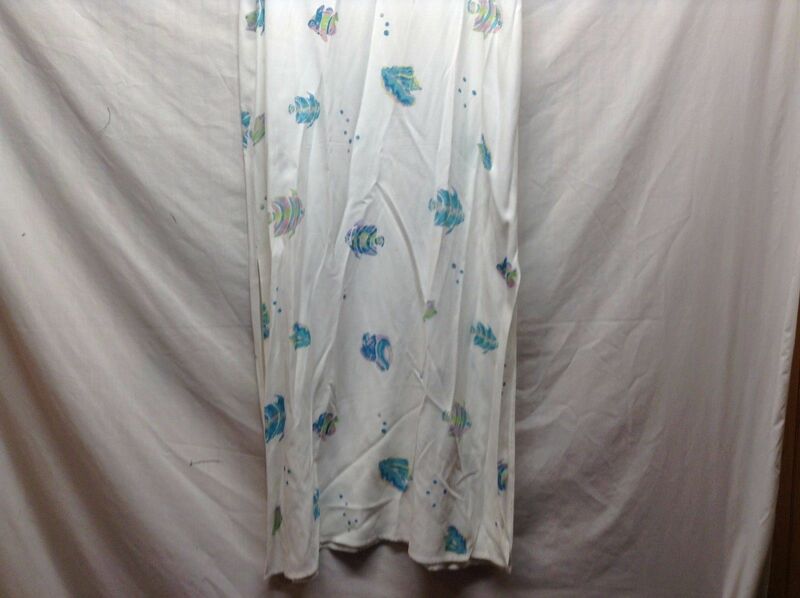 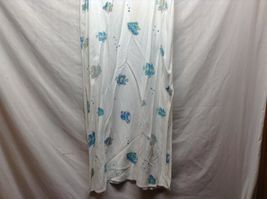 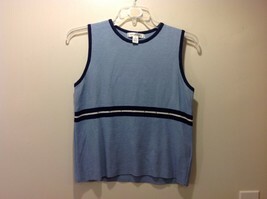 Material: 56/44% rayon-acetate, size XL!